Himal FM live broadcasting from Nepal. Himal FM is one of the most famous online radio station on Nepal. Himal FM, which right after its establishment has been serving with News, Information, education and healthy entertainment has made people away from Nepal to feel at home by providing local, national and international news. Himal FM has given the opportunity to send messages to everyone from abroad. 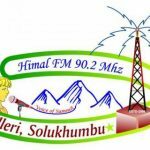 Himal FM 90.2 MHz started its official broadcasting from 2068 B.S. Asoj 29. Himal FM started its test transmission in 2068 B.S. Asoj 1 with the slogan, “Voice of Summit” and started its regular broadcasting in the same day of its official inauguration. 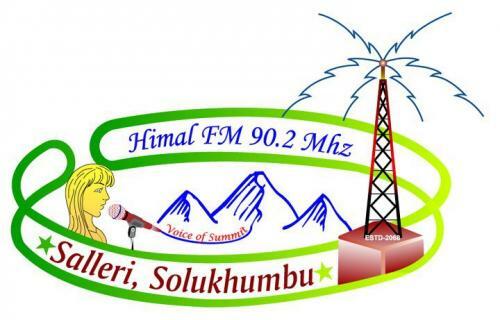 Himal FM 90.2 MHz is run after receiving the License (License No. FM 519/067/068) from Government Of Nepal according to Radio Broadcast Act 2052. Its office is in the Solukhumbu district (where the highest peak of the world is situated) at Dudhakunda Municipality 5, salleri. Broadcasting has been arranged from the Relay station built in the hill of Salleri-8 Selgudi. The tower of Himal FM has been built at the height of 3000 metre from the sea level with the capacity of 1000 watt. It is being broadcasted in 37 districts along with 16 district of Eastern Region and Central Region and in the border with neighbouring country India. Holding the capacity to broadcast in nearly half of the total area of Nepal and some region of India with the capacity of 1000 Watt is fascinating charachteristics of this Radio. Hima FM was established with the realisation of the facts that Information is power and Social advancement, Social Justice and Just Governance is possible only with the help of Information. Himal FM is not only the source of music and entertainment. From the day of its regular transmission it broadcasted hourly news and became successful for broadcasting 18 hours continuously. It has been also broadcasting different programs to aid social awarness respecting its social responsibility.